Many people ask how they can bring a workshop to their area. Workshops include a one day inservice. Schools can also arrange 2 or 3-day inservice to accommodate their schedules in the summer. Follow-up workshops with professional learning communities are also available. Workshops are organized through school districts, Elementary and Middle School Supervisors, Coordinators, Principals, PTA/PTO, and Homeschool Communities at their site. Materials and supplies are included. Join 1000’s of leaders, educators, parents and students in discovering the joy of learning mathematics that supports national and core curriculum standards. 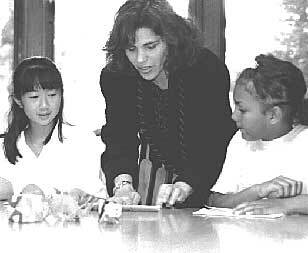 Learn how to educate, empower and inspire your students…where every child counts! What is Math in Motion? 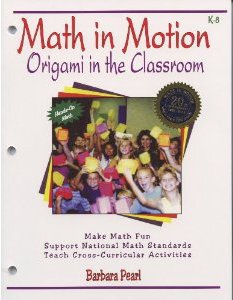 Math in Motion is an interdisciplinary and discovery-based approach to TEACHING AND LEARNING mathematics that supports the National Mathematics and Core Curriculum Standards. NEW techniques for using different manipulatives to integrate the NCTM Standards and develop problem solving, critical thinking skills, and unfold a POSITIVE attitude towards mathematics! Take-Home Kit and all of the materials that you use in the workshop, materials that you can use in your classroom the very next day! New ways of integrating LANGUAGE ARTS, SCIENCE AND MATHEMATICS. How to bring out the BEST in even your most reluctant, “I hate math”, ELL or gifted student!